Criminal law: Defending clients against a broad range of criminal charges, including DWI, assault, family violence and probation violations. Traffic violations: Representing clients in Uvalde Municipal Court and Uvalde County justice courts, challenging speeding tickets and all types of traffic violations. Family law: Guiding clients through sensitive family law matters such as divorce, child custody, and child support. Attorney J.P. Garcia approaches every case with thorough preparation and acute attention to detail. Backed by access to state-of-the-art technology and legal research tools, Mr. Garcia is always prepared to defend his clients' rights. The firm is a trusted source of legal guidance for clients throughout Uvalde County and across surrounding Texas communities. Clients from across Texas seek out the firm when facing legal problems arising from DWI arrests and citations at nearby Garner State Park and Concan, Texas. 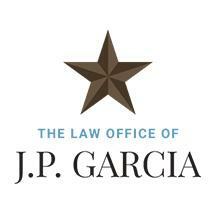 Whether you are fighting a criminal charge, protecting your Texas driver's license or struggling with a family law issue, The Law Office of J.P. Garcia is equipped to help. To schedule your initial consultation with attorney J.P. Garcia, please reach out to by telephone at 830-261-4751 or contact us online.